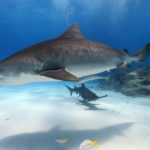 MANILA, Philippines — Shark fin soup and other dishes from sharks and rays may soon disappear from the menu in restaurants and banquets if a bill pending at the House of Representatives becomes a law. 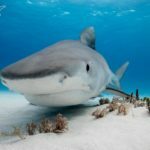 House Bill 5206 or the Sharks and Ray Conservation Act bans catching, selling, purchasing, possessing, transporting, importing, and exporting of all sharks and rays in the country. The bill also prohibits the harming or killing sharks and rays in the course of catching other species of fish. Sharks and rays which are accidentally included in the catch in the course of catching other species will be immediately released unharmed to the sea, according to the bill. To eliminate the demand that result in the massive killing of sharks and rays, the selling and serving of shark’s fin soup and all food menu with sharks and rays by-products shall be prohibited. In line with the objectives of the Convention on International Trade in Endangered Species of Wild Fauna and Flora, states should conserve, protect and sustain the management of the country’s sharks and ray population. “The State shall ensure the maintenance of ecological balance and marine biodiversity for the benefit of present and future generation of Filipinos,” the measure said. 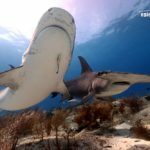 According to the bill, killing, destroying, or inflicting injury on sharks and rays will be punished with a fine of P100,000 to P1 million or imprisonment of a minimum of six years to 12 years. Transporting, importing, and exporting sharks and rays and their by-products and derivatives will be penalized with a fine of P30,000 to P300,000, while catching, selling, or possessing such will be fined with P50,000 to P500,000. It has been approved on third and final reading at the House of Representatives.